My master’s thesis project at ITP is complete, and on display at the ITP show this week. Check out the presentation on Vimeo! Probe Swarm is an exploration of the ways in which intelligent behavior can be attributed to inanimate objects (or animals, or people) based on limited information. Probe Swarm is a set of space probes sent from a planet of intelligent trees to identify intelligent life on Earth. Some of the probes use sound, others use colored lights. They attempt to get reactions by creating, supposedly, interesting patterns of sound and light, and when someone is detected nearby, they attempt to play simple games. A video presentation of the thesis is on the ITP stream page, though you might have better results with the Vimeo page. 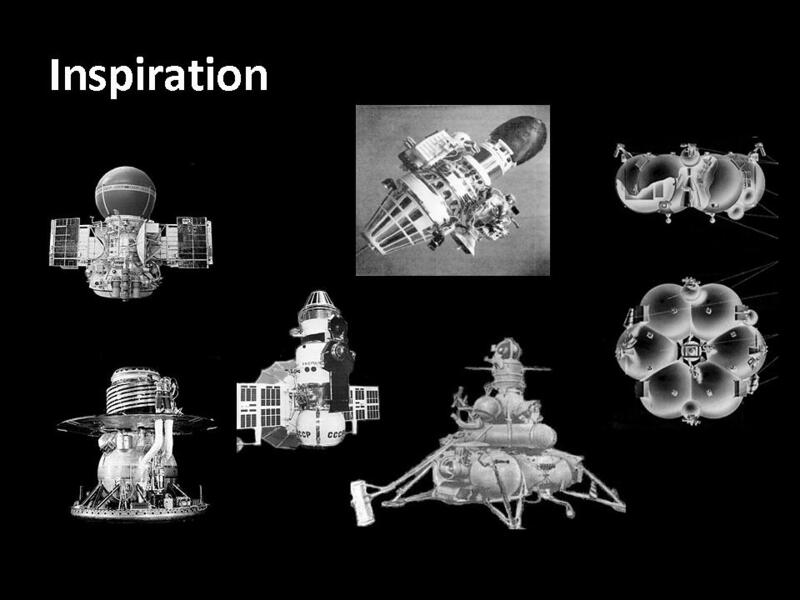 I was inspired by the design of existing space probes, especially Soviet Venus landers, and originally intended to be guided by their design. I made the switch to organic materials (wood, gourds) in an attempt to make them seem alien. However, actually getting the wood and gourds, and adapting to their peculiarities, is what really gave them their final form. I was also strongly influenced by the works of U Ram Choe and Bjoern Schuelke, both of whom make interesting bio-mechanical works, with an aesthetic that I find extremely interesting. Physical construction is an extremely important element in attracting attention and stimulating the creation of interesting narratives, so I paid especial attention to this aspect of the project. The “organic” look of the probes is interesting, and attracts attention. 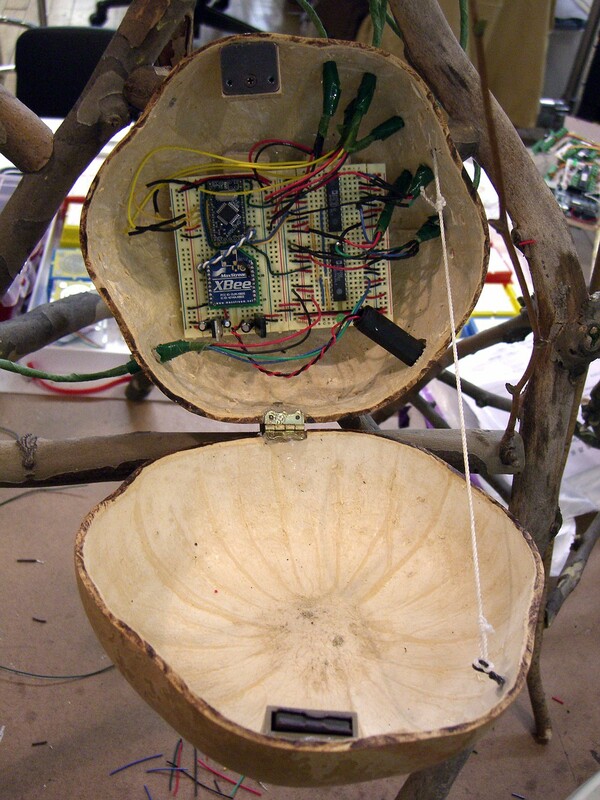 The probes are made from gourds, twigs and branches (collected in a park after a windstorm). Lighting elements are made from clear urethane, cast based on a form carved from high-density foam. The light probe detects proximity and attempts to play simple games with colored lights. The audio probe detects proximity and gestures, and uses it to modify an algorithmically generated sequence of tones. When either probe detects significant interaction, it signals the other via a ZigBee radio link. More pictures of the construction process are on the Fotki page. 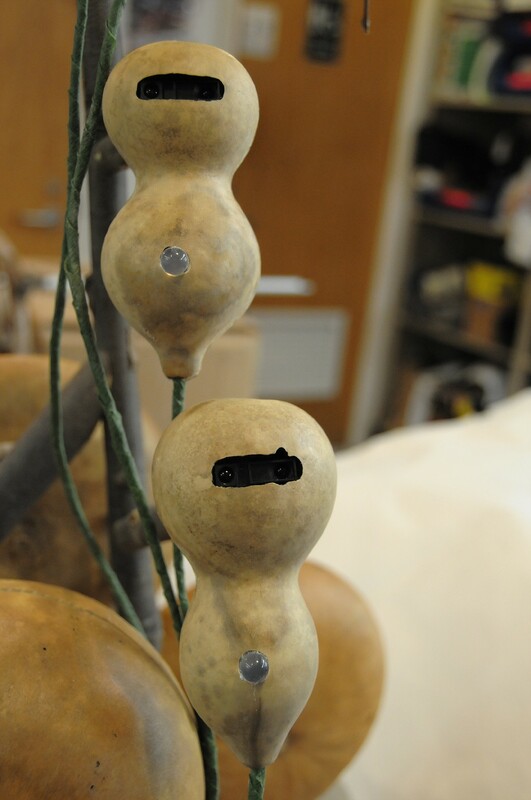 More information about the thesis process and construction of the probes is on my NYU blog. A video of the thesis presentation is on the video stream page and on Vimeo.